Scenic Serenity on this 1.04 acre Ranch Home. Enjoy the peaceful retreat to this lovely and well maintained home. Picturesque views of the pond and its wildlife. Street is adjacent to the National Golf Course in Parkville, MO. This home has been extremely well managed. Utility Bills are lower than many homes due to its Earth Contact architecture. Garage has epoxy floor and storage. Wonderful home, large acreage lot, beautiful scenery, and nestled away location with access to many nearby amenities. I-435 N to MO-45 S/Tom Watson Pkwy in Parkville, MO. Take exit 22 heading East from I-435 N. Take NW Crooked Rd. to Rinehart Lane. 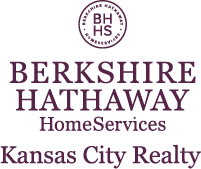 I am interested in 13501 Rinehart Lane, Kansas City, MO 64152.